In this week's newsletter: Details on Pinterest, Lyft, Uber and Zoom's upcoming IPOs, plus Glossier and Rent The Runway's big rounds. As I’m sure everyone reading this knows, female-founded businesses receive just over 2 percent of venture capital on an annual basis. Most of those checks are written to early-stage startups. It’s extremely difficult for female founders to garner late-stage support, let alone cash $100 million checks. I spent a good part of the week at San Francisco’s Pier 48 in a room full of vest-wearing investors. We listened to some 200 YC companies make their 120-second pitch and though it was a bit of a whirlwind, there were definitely some standouts. ICYMI: We wrote about each and every company that pitched on day 1 and day 2. If you’re looking for the inside scoop on the companies that forwent demo day and raised rounds, or were acquired, before hitting the stage, we’ve got that too. Lyft: This week, Lyft set the terms for its highly-anticipated initial public offering, expected to be completed next week. The company will charge between $62 and $68 per share, raising more than $2 billion at a valuation of ~$23 billion. We previously reported its initial market cap would be around $18.5 billion, but that was before we knew that Lyft’s IPO was already oversubscribed. Here’s a little more background on the Lyft IPO for those interested. Uber: The global ride-hailing business flew a little more under the radar this week than last week, but still managed to grab a few headlines. The company has decided to sell its stock on the New York Stock Exchange, which is the least surprising IPO development of 2019, considering its key U.S. competitor, Lyft, has been working with the Nasdaq on its IPO. Uber is expected to unveil its S-1 in April. 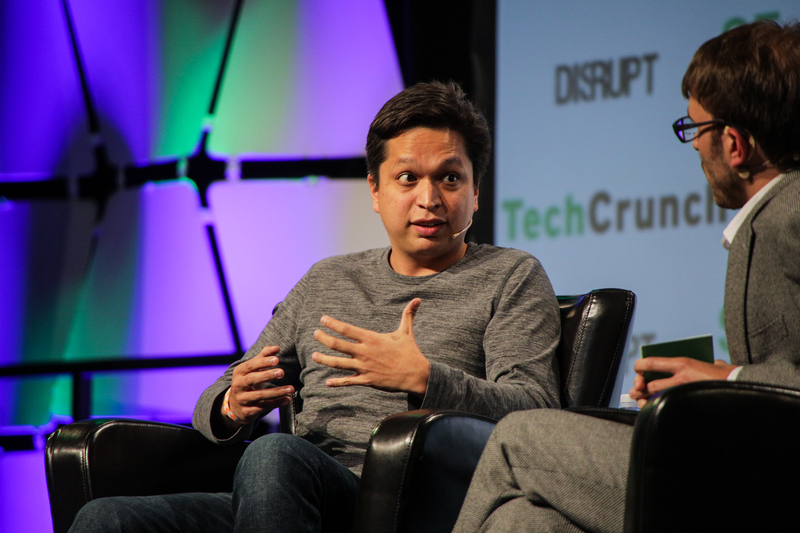 Ben Silbermann, co-founder and CEO of Pinterest, at TechCrunch Disrupt SF 2017. Pinterest: Pinterest, the nearly decade-old visual search engine, unveiled its S-1 on Friday, one of the final steps ahead of its NYSE IPO, expected in April. The $12.3 billion company, which will trade under the ticker symbol “PINS,” posted revenue of $755.9 million in the year ending December 31, 2018, up from $472.8 million in 2017. It has roughly doubled its monthly active user count since early 2016, hitting 265 million last year. The company’s net loss, meanwhile, shrank to $62.9 million in 2018 from $130 million in 2017. Zoom: Not necessarily the buzziest of companies, but its S-1 filing, published Friday, stands out for one important reason: Zoom is profitable! I know, what insanity! Anyway, the startup is going public on the Nasdaq as soon as next month after raising about $150 million in venture capital funding. The full deets are here. General Catalyst, a well-known venture capital firm, is diving more seriously into the business of funding seed-stage business. The firm, which has investments in Warby Parker, Oscar and Stripe, announced earlier this week its plan to invest at least $25 million each year in nascent teams. Earlier this week, Opendoor, the SoftBank -backed real estate startup, filed paperwork to raise even more money. According to TechCrunch’s Ingrid Lunden, the business is planning to raise up to $200 million at a valuation of roughly $3.7 billion. It’s possible this is a Series E extension; after all, the company raised its $400 million Series E only six months ago. Backers of OpenDoor include the usual suspects: Andreessen Horowitz, Coatue, General Atlantic, GV, Initialized Capital, Khosla Ventures, NEA and Norwest Venture Partners. Backstage Capital founder and managing partner Arlan Hamilton, center. Axios’ Dan Primack and Kia Kokalitcheva published a report this week revealing Backstage Capital hadn’t raised its debut fund in total. 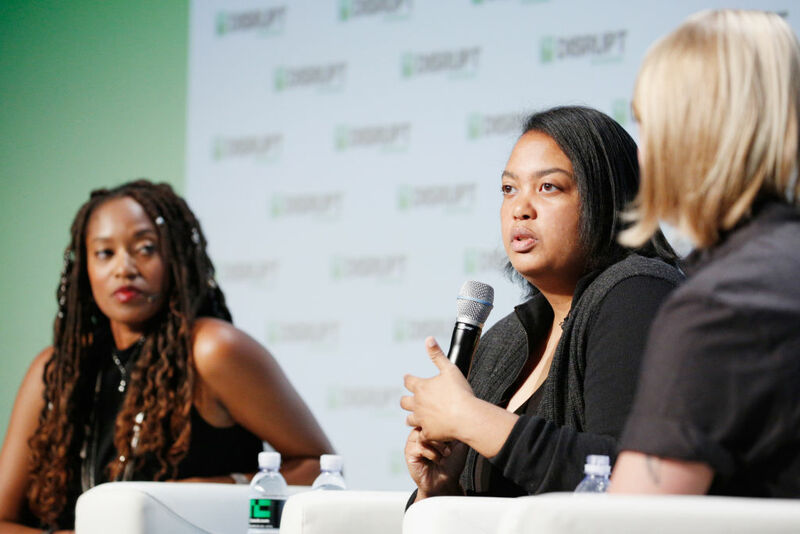 Backstage founder Arlan Hamilton was quick to point out that she had been honest about the challenges of fundraising during various speaking engagements, and even on the Gimlet “Startup” podcast, which featured her in its latest season. A Twitter debate ensued and later, Hamilton announced she was stepping down as CEO of Backstage Studio, the operations arm of the venture fund, to focus on raising capital and amplifying founders. TechCrunch’s Megan Rose Dickey has the full story. This week, TechCrunch’s Connie Loizos revisited a long-held debate: Pro rata rights, or the right of an earlier investor in a company to maintain the percentage that he or she (or their venture firm) owns as that company matures and takes on more funding. Here’s why pro rata rights matter (at least, to VCs). If you enjoy this newsletter, be sure to check out TechCrunch’s venture-focused podcast, Equity. In this week’s episode, available here, Crunchbase News editor-in-chief Alex Wilhelm and I chat about Glossier, Rent The Runway and YC Demo Days. Then, in a special Equity Shot, we unpack the numbers behind the Pinterest and Zoom IPO filings. Want more TechCrunch newsletters? Sign up here.